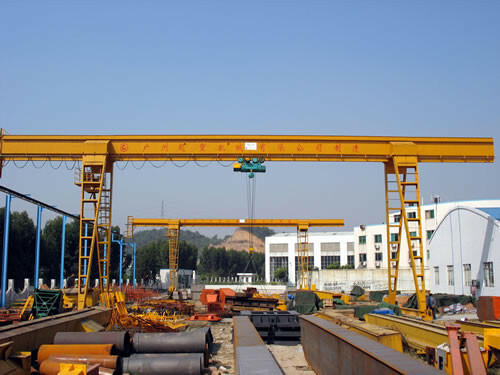 This type of crane is a simple small and middle gantry crane with cantilever, electric hoist adopts model CD or MD. Its structure is Simple , and its installation, use, maintenance are convenience. It is applied to factories, rail freight yard, port, hydropower stations and other places. Control way:1..ground control,2. cab control 3.remote control. We can design and manufacture special products under the requirements of users.